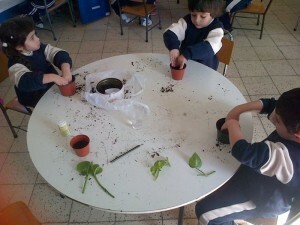 This activity was related to the main weekly theme – In the Garden. developed an awareness of the natural environment around them. 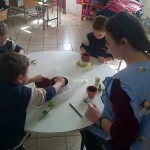 During the weeks that followed the pupils observed and talked about the growth process of plants.